There are not many writers out there who can write anything, do it well and make it fun. From funny to kid's comics to mainstream superheroes to sci-fi to horror, Paul Tobin has done it all and doesn't seem to be stopping any time soon. If you like comics (of any kind), there's no reason why you shouldn't have a favourite Tobin in your collection. Mine right now is Colder, but there's only one issue of Gunsuits out there and Bornhome is coming out soon, so ask me again in a couple of months! I will be interviewing Mr. Tobin soon, so I will leave you with his Goldenage-ilicious top 5!!! This is going to be an assortment of Golden Age comics, because I love the time period, and how can I talk golden age comics and not represent my all-time favorite cover artist, Alex Schomburg? I chose this particular cover because it was the first of his I'd ever seen. 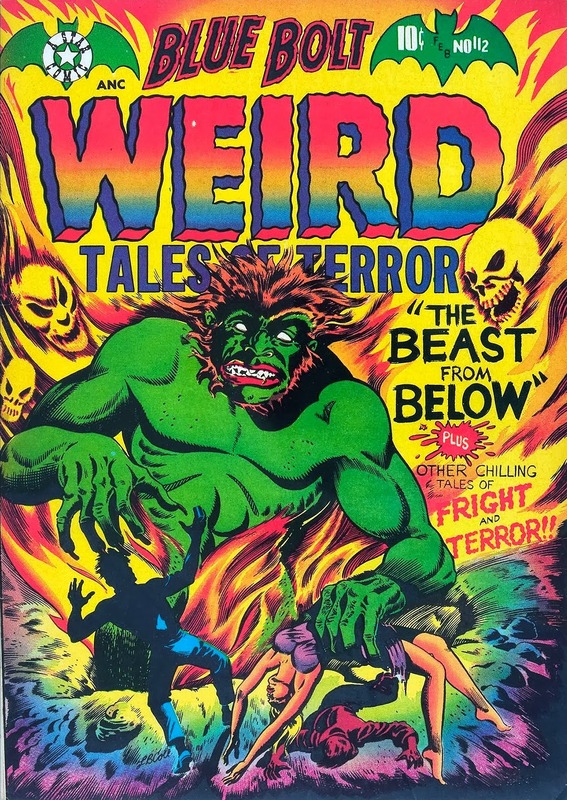 It was also the first one I ever personally owned, and I can remember driving home from Mason City, Iowa, with this comic in the passenger seat, glancing over at it, impatient to be home and dig into all that strange golden age goodness. Unfortunately, I no longer own a copy, but… one day! Here's one I do own, the very first appearance of Mary Marvel, one of my all-time fave characters, and a painted cover by the under-rated Marc Swayze. 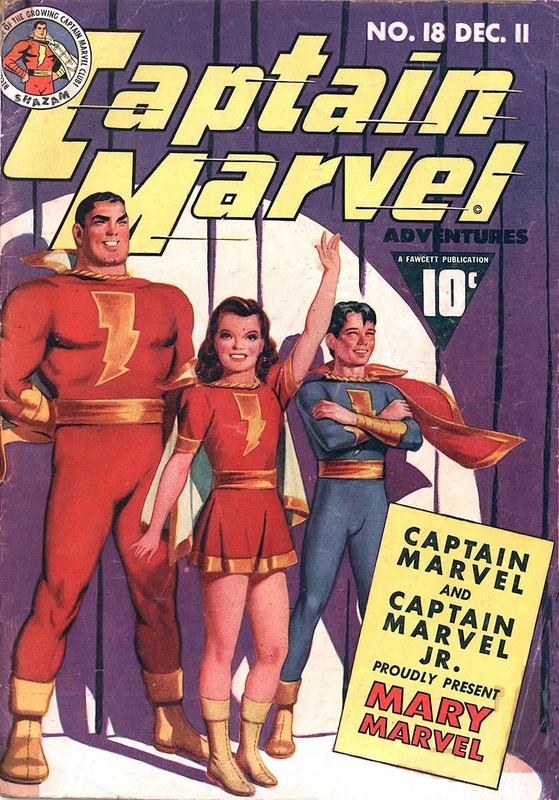 I have an original Captain Marvel drawing of his around here somewhere. I love this cover because of the simple presentation, and the “nice to meet you!” attitude. Oh heck, I might as well toss in another Mary Marvel comic. 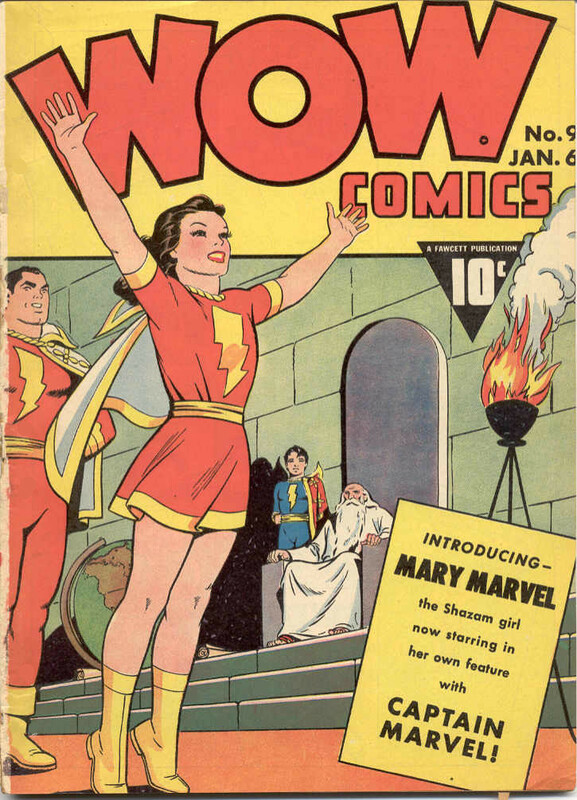 Mary had her own title (Mary Marvel Comics) but also appeared regularly in Wow Comics, which was an anthology title of Fawcett Comics characters, but Mary always took the cover spot, beginning with this issue. I love the colors on this one. I'm a sucker for yellow on covers. I don't own one of these beauties. They're a touch rare. LB Cole covers belong in every “top” list, because… THOSE COLORS. Seriously, you have to see these things in person to truly appreciate the colors. I could have chosen pretty much any Cole cover to be in the top 5. I'd probably chose a different one tomorrow, but I would always choose a Cole. Don't have any actual Cole covers in my current collection. Sob. This is another comic I actually own. I'm a huge Blonde Phantom fan, and I love all the reds and yellows, here. Who doesn't love a beautiful blonde gun-fisted dame who fights in a red dress? The perspective is all wonky, here… but it works. I also love banner style logos, like DC did so well in the 1940's. I could have put a ton of DC comics in this top 5, too. Comics like the Spectre and Dr. Fate covers of More Fun, or those early issues of Action and Detective. Great piece. I really enjoy seeing the jewels from the past that most of us won’t have the opportunity to ever own, let alone see an original. That Namor double punch cover is a cool one. 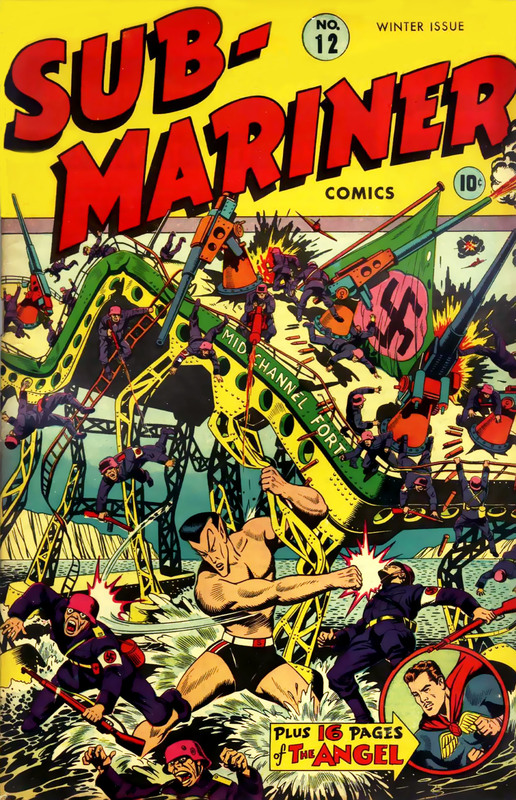 That Sub Mariner cover is insane! Great picks! Love this column! 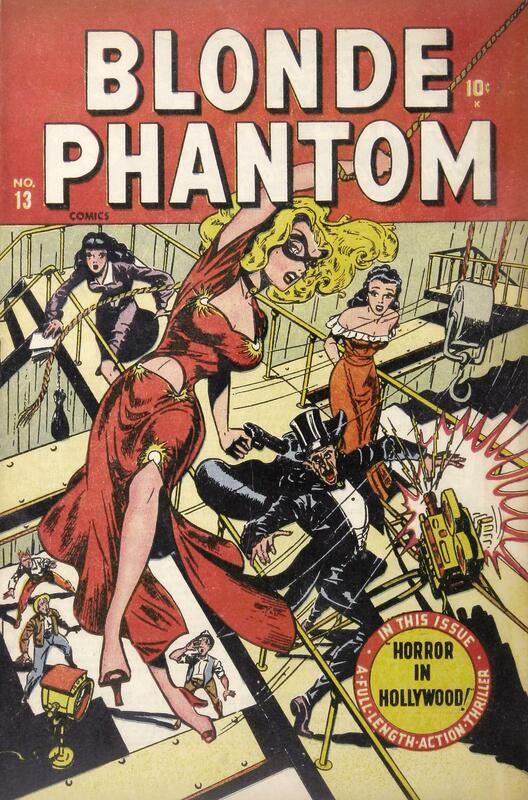 Old comic covers are so amazing looking, very artistic and detailed. Awesome taste, awesome covers, awesome write up. Love it! For those Cole fans, there are actually quite a number of affordable issues with amazing covers, just gotta find them!